If there’s one thing we don’t need more of in teaching, it’s groups and activities – especially in literacy and maths. We always seem to be creating more groups, more activities, more resources, more laminating, more blood, sweat and tears. Plus a couple of extra tears and buckets of sweat (and hopefully not blood) if it is around report writing times. Between guided reading groups, writing conferences groups, maths focus groups, individual and group goal setting, passion project working groups and lunchtime groups, there’s more groups in a typical school day than in Spotify’s “Good Aussie Hip Hop” playlist. (It’s not your fault Aussie hip hop, you’re great. Teachers just love groups…teachers are the origin of the word groupies*). From all my time working with and supporting teachers, maths is a often a key subject of frustration. So many teachers I’ve coached and worked with describe feelings of anxiety and powerlessness when it comes to maths teaching. I’ll never forget one particular teacher I was coaching who broke down in tears while we were chatting. She felt like she couldn’t do it all. Manage six small groups, all with different maths activities and materials during the lesson. Organise and focus on four different warm up groups. Use different reflective questions for her students to respond to during a session. She was trying to do this every day. If you’re a teacher of maths, there’s a fair chance you might have fallen into this trap too: setting yourself up to feel like you’re not doing enough. What can we do to try and combat this? For me, my approach is a bit different. What if we flipped things and selected ONE material that could be used in MULTIPLE ways? Less preparation, less setting up and packing up in your lunch time, less stress out of hours and more time focused on the important stuff: giving kids opportunities to build up their knowledge, skills and confidence with maths concepts. Interested in what this looks like in your classroom? Read on, good reader! Let’s look at a couple of examples to show how I’ve done this in my classrooms over the last ten years, with one of my favourite materials that every teacher needs to have in their classroom and teaching toolkit: playing cards. Cards are an amazing material that can be used in so many different ways. From helping students recognise numbers, instantly recall quantities (if you want to be fancy, nonchalantly call this subitising) to playing snap focused on factors of 12, there’s infinite potential within playing cards. The key is to start by knowing what it is you and your class are focusing on. What is the maths concept you are seeking to build up and develop with your students? As an example, let’s imagine we’re in a class focusing on building up addition and subtraction understandings and fluency. Within a typical class kids will come with a range of understandings. In a Year 3 class we’ve probably got kids who know nearly all of their tens facts for addition and subtraction (i.e. 4 and 6 make 10, 10 take away 4 makes 6) and we might have kids who are mentally solving three or four-digit addition or subtraction sums. That’s a bit of a spread, right? Here’s the secret. If you know some various ways to adapt how you use materials, you can reach all of those kids during multiple sessions in much easier ways. You will still have the range, but instead of hours each week spent preparing, making and setting up all of those activities, you can work smarter, not harder. So, what does this actually look like? If you have your main focus of a maths lesson, week or part of a learning unit to be building kids’ fluency and reasoning in recalling tens facts, here’s a few different ways you might adapt how you use the exact same game in slightly different ways for your class. Okay, the idea of the game is like snap, but instead of ‘snapping’ when cards are the same, you ‘snap’ on the pile of cards when the total of two cards equals 10. If I put a 4 down and you put a 6 down, first one to snap gets the cards. If I put a 4 down and you put a 7 down we then don’t snap and need to now think of what needs to be added to a 7 to add up to 10. With a little bit of planning beforehand, you can suddenly build up this game as a means to have kids practising and strengthening a WHOLE BUNCH of addition and subtraction skills. Instead of seeking to snap when the total equals ten, what if it was on any decade (i.e. 20, 30, 40)? Imagine the ongoing mental or written addition throughout the game. Or better yet, adapt the way to use the cards to snapping back to zero. Starting at ten, subtracting back with the first one to snap on zero (or if you go past, start again…or introduce negative numbers with a number line!). Still too easy for some of your class? Merge snapping back and snapping on the decades with some sweet snapping back on the decades. (We can do this all day). For any students who are already fluent, you might even consider staying focused on subtracting, but only snapping when the difference between two numbers is odd or even (after agreeing which one to focus on). Ah, still too easy for some? I feel your pain. Let’s continue. What if you then started merging in students knowledge of multiplication, division and factors? What if you were subtracting back from a starting number of 100 and every time the difference was a factor of 10 you had to snap? Or a factor of 12, 16 or 21? Or only prime numbers? Yep, the potential to adapt the degree of difficulty is always there. One of the best things you can do to reduce prep time is to team up. Grab people from the year below and the year above for a 20 minute brainstorming session. That one session can often give you a HUGE amount of ways to engage and deepen kids’ understandings with any concept. It is true what they say, sometimes less is more. Especially when it comes to saving you from getting plastic poisoning from touching all those laminating sheets. 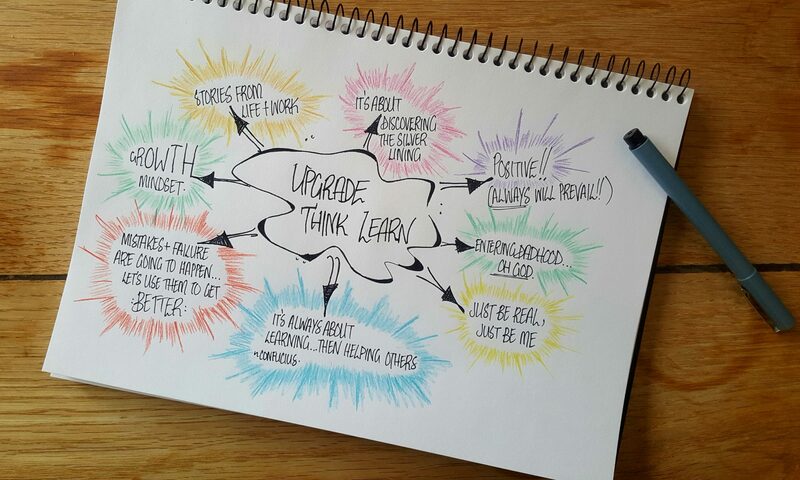 Don’t forget, to get the full outline of these activities (and other maths tips and resources as they are sent out), join the Upgrade Think Learn community! *Not really, but can we stop and appreciate the gag any way? Interested in more tips, ideas or help with teaching maths? Don’t forget to join the community!